It is a wonder that the director Mohamad Malas was able to film Ladder to Damascus at all, let alone secure its world premiere at the Toronto International Film Festival this week. Malas, who is considered among the first auteur filmmakers in Syria with numerous documentary and feature films to his credit, shot his latest work in Damascus just months after the unrest began in 2011. He had doubts about whether Ladder to Damascus would actually come to fruition because "fear limited the space of visual treatment for the production of this film." "Practically, this fear would make me feel uncertain about whether or not I would be able to film the next day," he says. "Everyday, I would be unable to predict if the cast or technical crew could make it to the set." For much of the movie, action takes place within the confines of a century-old home in the heart of Damascus. Here, a dozen young Syrians from different areas of the country come together in rented rooms, where each one's struggles with the beginnings of the civil war play out with varying degrees of angst, fear or anger. The setting often feels claustrophobic, both to the film's characters as well as the audience, because of the constant reminders of chaos just outside the front door - the chilling phone call about a loved one who has been arrested, for instance, or the noise of a jet blasting in the skies above followed by sounds of explosions. This "on the brink" atmosphere in the movie, Malas says, closely mirrors what Syria is like to many today. "There is nothing in front of me and in front of any intellectual of my generation besides life in worry and fear, and a lack of hesitation to offer testimonies, to express what is happening with honesty - regardless of what this might lead to," says Malas. "In all cases, what is happening now doesn't allow us any security." His anxiety permeates Ladder of Damascus, which compounds this feeling by its blend of different cinematic forms. Some scenes, for example, include fantastical spiritual elements that one character experiences, while others feature vignettes of documentary footage from the ground in Syria. One particularly powerful real-life scene is when a little girl is filmed on the streets and before long her sweet singing is replaced by the sounds of a bomb that rock her out of the shaky frame. Waves of youthful optimism do wash through certain parts of the film. Freedom is sometimes also alluded to, though it is more limited to scenes at the start of the film, such as when a young woman runs along a beach in Tartous under a safe, night sky. "I hope for the viewer to be able to get to know the world inside me and the dreams for the youth in my country, Syria, as well as the atmosphere they are living in during these days and what their stances are about the situation," says Malas. "The implicit message in this film is to express the position of Syrian cinema and its testimony of events." But as Malas ultimately intended it, Ladder to Damascus ends where the conflict we see in the world today began. Which is why the final scene of his film is so jarring. 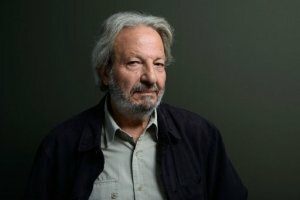 "What began after the uprising - that the film talks about - is the result of the security choice taken by the ruling regime to defend itself, which brought the country to the brink," he says.